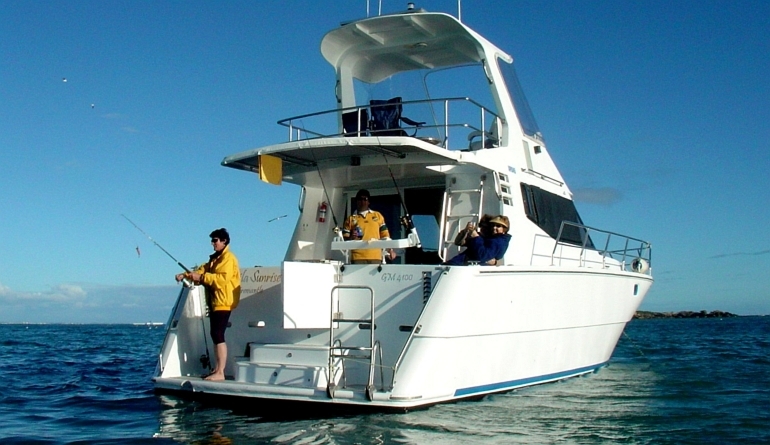 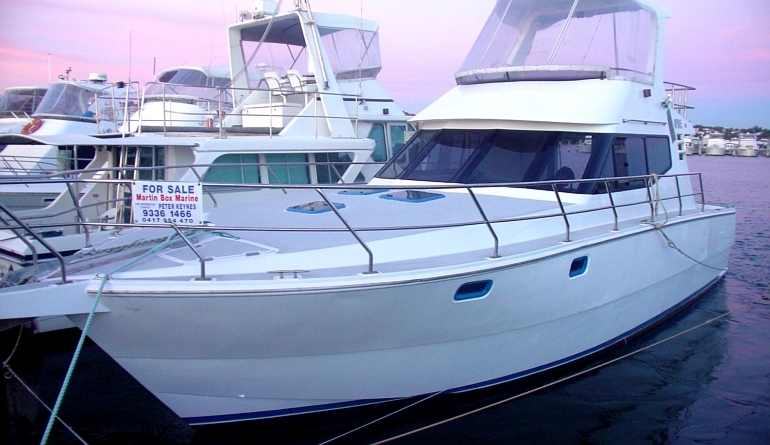 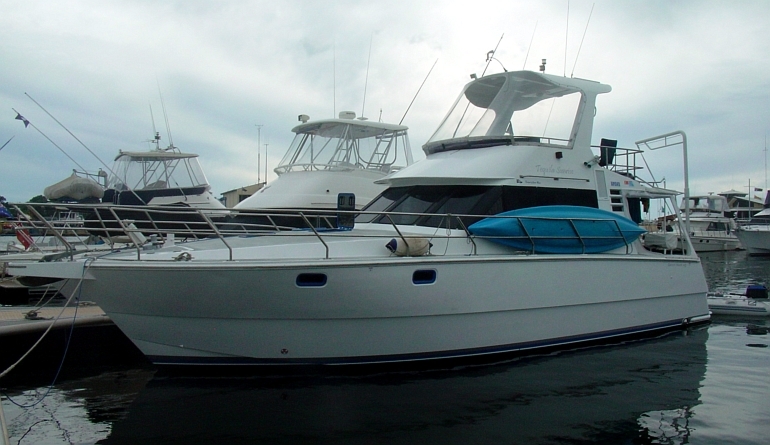 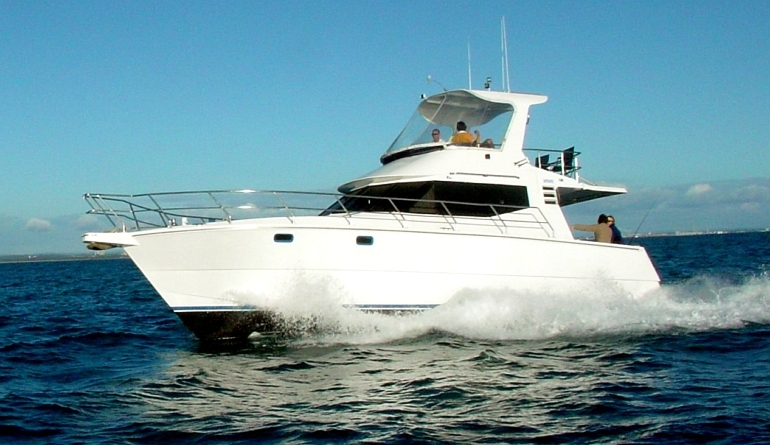 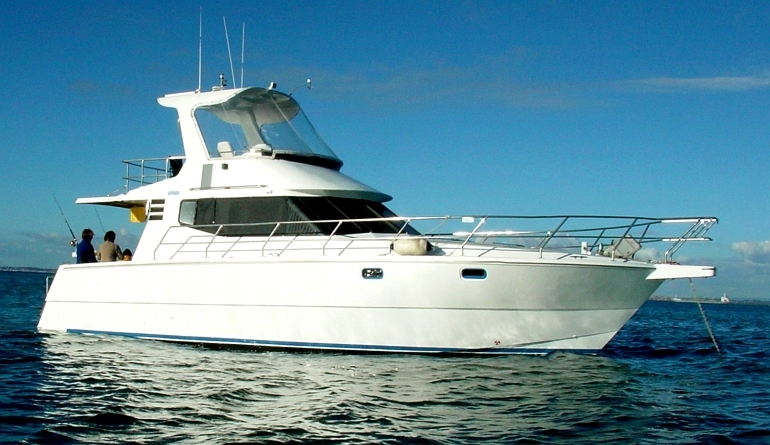 “Tequila Sunrise” is a superb mid-range aluminium sports cruiser with open sea capabilities. 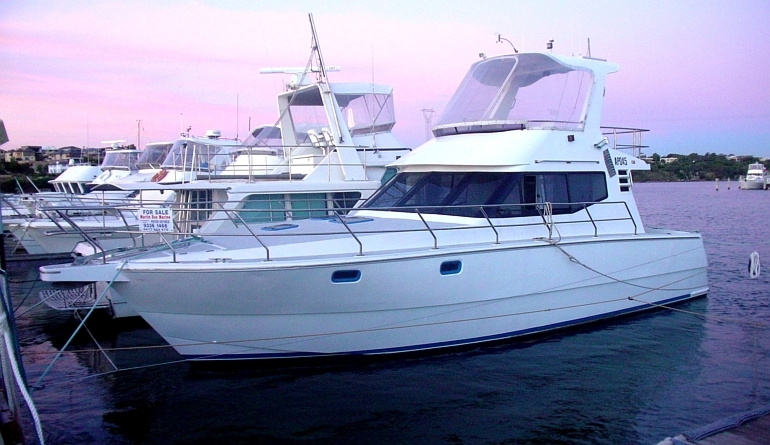 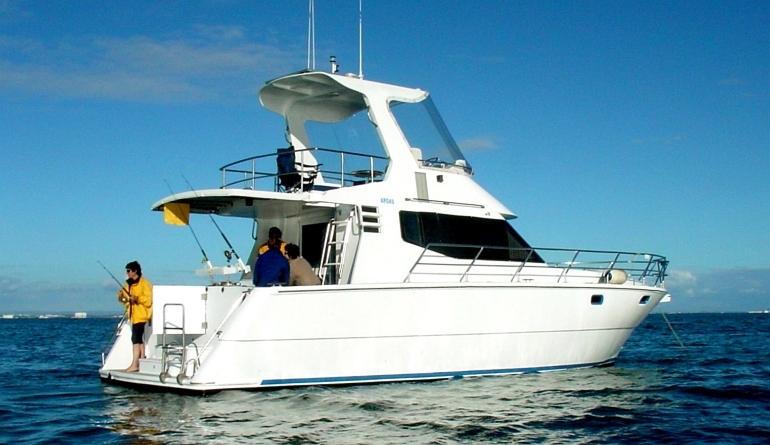 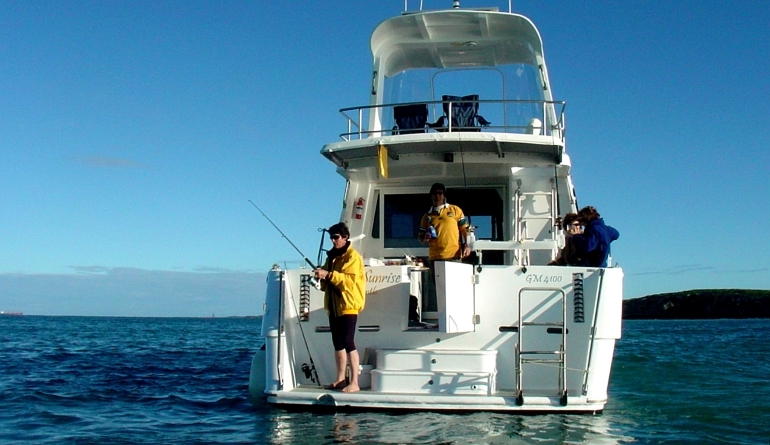 Having trialled aboard for the sea leg from Fremantle to the Abrolhos Islands off Western Australia, the designer Gavin Mair recommends this vessel to serious weekenders and cruisers alike. 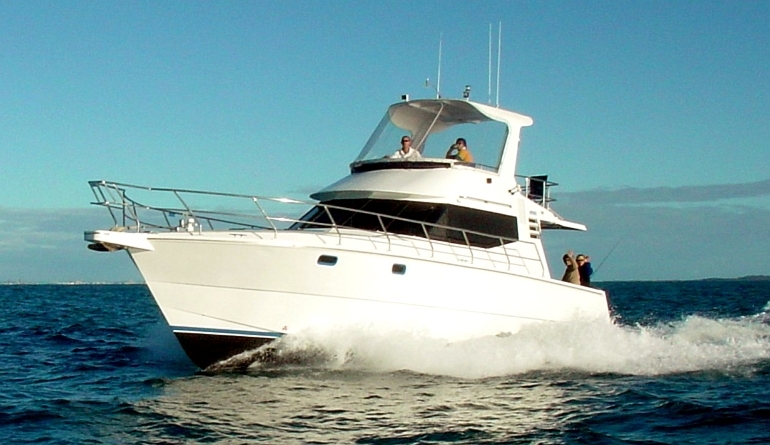 The vessel has undergone 2 major refits since its launching, both in 2004/5 and again in 2012/13, each time with extensive improvements and buckets of money being used to create an excellently appointed sports cruiser suitable for coastal cruising.